New research from the Penn State College of Medicine suggests that consumers who use e-cigarettes regularly are less likely to get hooked on nicotine than people who smoke cigarettes. 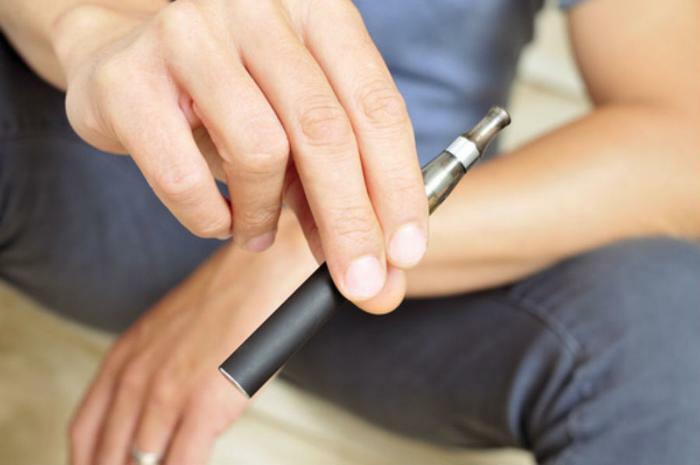 While the researchers conclude that e-cigarette users are less dependent on nicotine, they say it isn't clear whether e-cigarette "vaping" leads to eventual cigarette smoking, as some health advocates believe. They say further study is needed to determine that. E-cigarettes are a type of battery-powered device that uses an electric charge to heat and vaporize a liquid mixture that is inhaled as an aerosol. The aerosol usually contains nicotine, to mimic the effects of a cigarette, but it may also contain flavorings and other chemicals. The study tried to compare e-cigarette and cigarette dependence by surveying more than 32,000 people who either used e-cigarettes or who smoked. Of those who used e-cigarettes, nearly all had once regularly smoked tobacco cigarettes. The survey showed e-cigarette users waited longer to "vape" after waking up in the morning than smokers waited to have their first cigarette. Vapers were also less likely to describe themselves as addicted, or to feel like they really needed their product. But everyone in the survey felt they "needed" a shot of nicotine. Although the researchers concluded that e-cigarette use doesn't produce the same kind of nicotine addiction tobacco does, they also say the chemicals in the aerosol are not harmless, even though the e-liquid contains fewer chemicals than what is found in cigarette smoke. “No doubt about it, e-cigarettes are addictive, but not at the same level as traditional cigarettes,” said the study’s lead author, Guodong Liu. There appear to be two types of consumers who purchase and use e-cigarettes; cigarette smokers who find e-cigarettes a better alternative to tobacco, and young people who have never been smokers. It is the latter group that has health advocates worried. “Adolescents very much by nature want to experiment with everything and anything,” Liu said. Lin says health researchers will need to know a lot on almost every aspect of these increasingly popular devices before there can be a coherent action plan to better manage this new emerging tobacco delivery product.